ONLY TWENTY NINE BUCKS for a limited time! :) Hey for only twenty nine bucks, even all of you who own single family rentals will get 100 times the value of that price, because 95% of the rental clauses will greatly benefit you if you include some of the provisions in your lease. In fact, just one or two of these clauses is well worth far more than twenty nine bucks. There is no need for you to learn the hard way and lose hundreds of dollars before you realize you should have included a particular rental clause or two in your lease. You may just as well learn from the many school-of-hard-knock lessons Jefrey has gone through over the last 30+ years. I would dare say that many of these clauses has cost him hundreds of dollars (some even thousands) before he realized or learned he could have saved myself dearly or made FAR more rental income by simply having a particular clause in his lease, especially the new clauses that he's added from recent experiences just in the last six months alone. 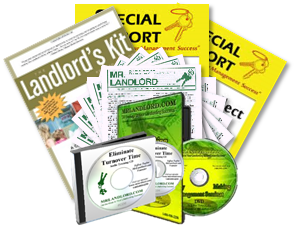 Click now below to order this updated ten page lease and it will be emailed to you within 24 hours. Or call 757-436-2606 and request it from Toya, our customer service manager. She will make sure we get it emailed to you.